Treat your feet to a pair of these beautiful socks by Falke. 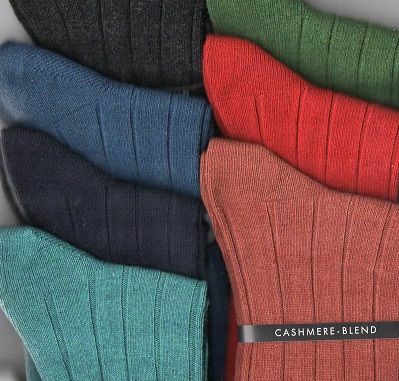 The beautiful, soft cashmere socks are made from high quality merino wool which is blended with soft cashmere. They are durable yet soft to the touch. They are are made from 33% Merino Wool, 27% Viscose, 20% Cashmere and 20% Polyamide. They provide a perfect fit , have reinforced heels and toes.